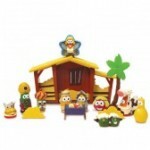 Veggie Tales 30% off Easter sale! 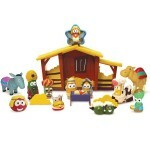 You are here: Home / online shopping / Veggie Tales 30% off Easter sale! 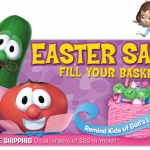 If you’re looking for ideas for Easter baskets, make sure you check out the Veggie Tales 30% off Easter sale! 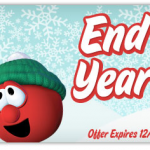 Prices start at $4.97 and you can score free shipping, too! They’ve got lots of great items to choose from! 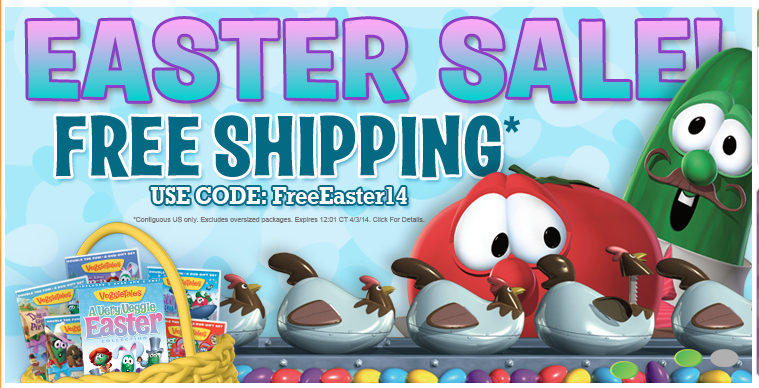 Enter the code FreeEaster14 at check-out to get free shipping! 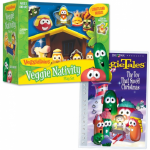 HOT DEAL ALERT: Veggie Tales gifts as low as $4.97 plus 25% off! 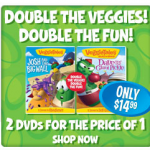 Veggie Tales: 2 DVDs for $11.24! !